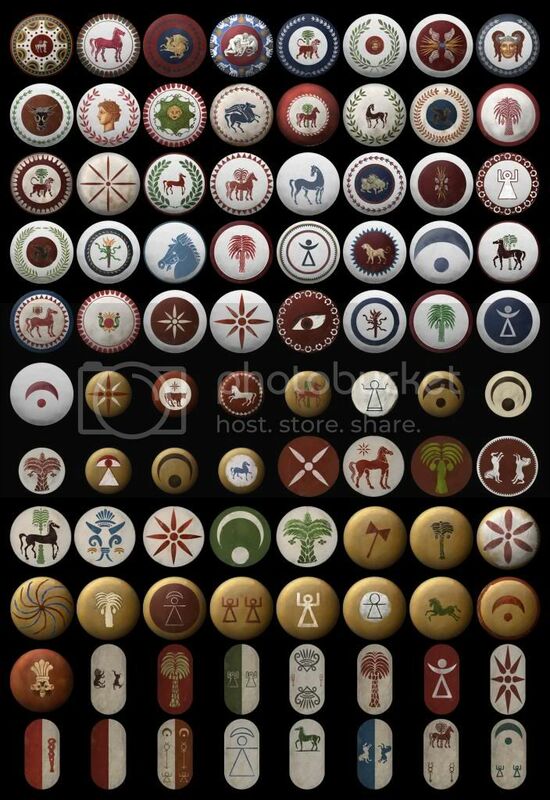 I was a bit disappointed by Rome 2's carthaginian shields, compared to the other major factions they look kind of bland. So I decided to use some of the shields I made for Europa Barbarorum 2, a few years ago, to improve them. I really enjoy working on Rome 2's engine, the variations system is nice, so instead of simply porting the EB2's shields I created a lot of new ones as well. The goal is to make the carthaginians look better and more colorful, especially their elite units. The designs are all inspired from historical sources such as coins, reliefs and monuments. All credit for the historical research goes to the EB2 team’s historians, and especially Paullus. Please note that I don’t give the permission to use this mod in other mods or mod compilations. The reason is simple : I created this stuff for Eb2 at first and I was not supposed to share it at all. So as long as EB2 isn’t publicly released I don’t allow these textures to be used elsewhere. Sorry for that.Let me know if you have any suggestions or if you encounter problems with the mod. I suggest using Athalwulf's Natural Dyes mod, which makes the carthaginian units look better and more realistic ! Simply put the Gustave_Carthage_v3.pack file in your data folder (Steam\SteamApps\common\Total War Rome II\data), and use Mod Manager (http://www.twcenter.net/forums/showt...36-Mod-Manager) to activate it.It should be compatible with other mods as long as they don't modify the few units I've worked on. Have fun ! Last edited by Gustave; 10-12-2013 at 12:25.